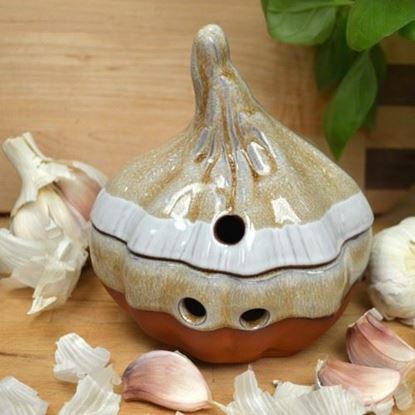 To preserve those gorgeous garlic flavours and extend shelf-life, then one should store garlic in terracotta garlic pots (or garlic keepers). 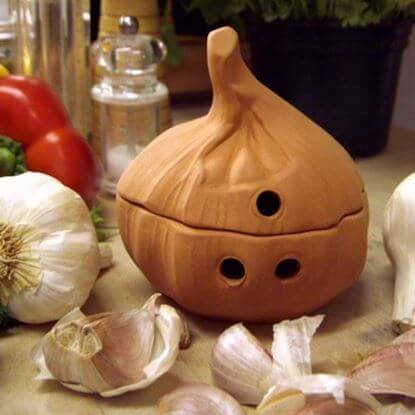 Designed to provide natural garlic storage conditions for a garlic friendly environment! 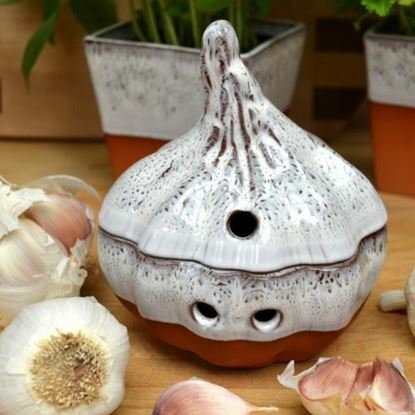 Whole bulbs of garlic will keep for several months or more when stored in a garlic pot which will keep the garlic dry & at room temperature, restricting light & providing ample air circulation. 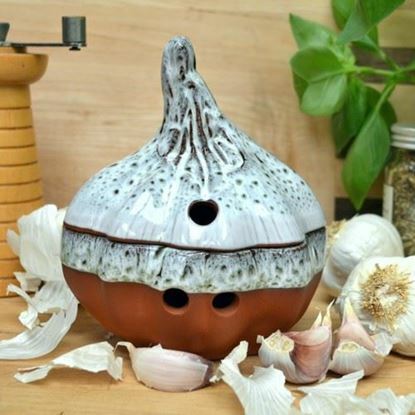 Definitely, do not go refrigerate your garlic! 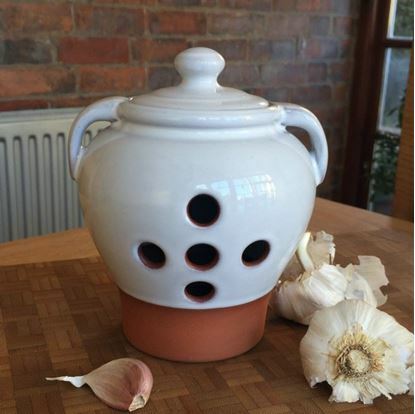 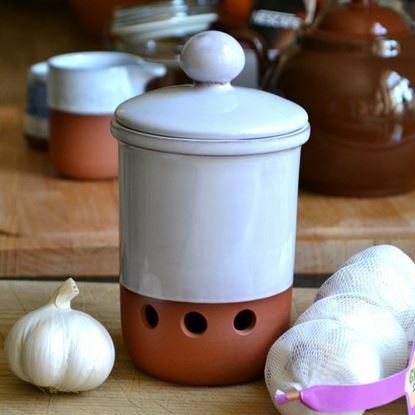 All of our garlic pots have holes designed to promote good ventilation. 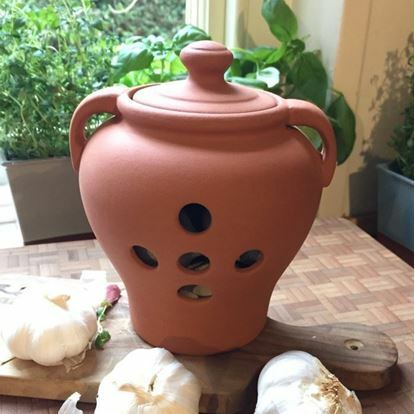 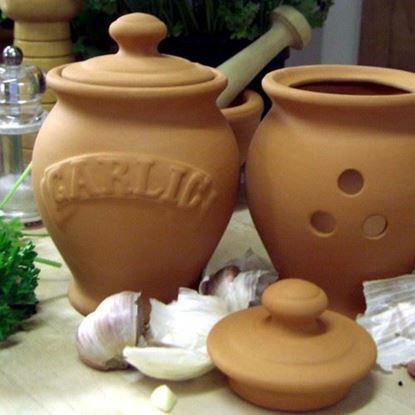 Our garlic keepers are hand made by ourselves in the UK from English terracotta. 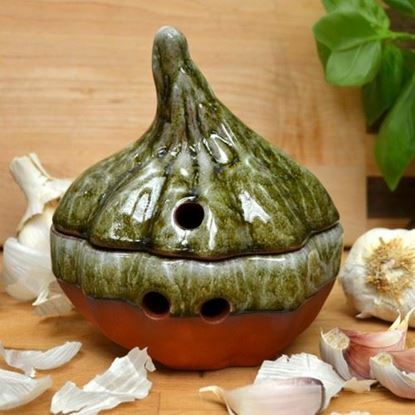 CLICK HERE for instructions on how to keep garlic in garlic pots.